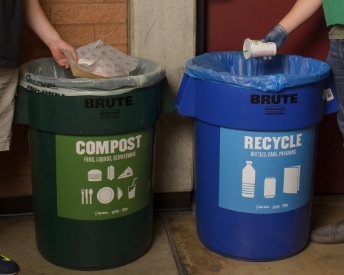 After fans have left Super Bowl XLIX on Feb. 1, ASU students from the School of Sustainability will head up a post-Super Bowl recycling project the next day. “We have the fortunate opportunity to give our students an on-hand experiential opportunity to actually understand sustainability and how it is done in regards to waste diversion by going to the stadium,” said Colin Tetreault, faculty associate at the School of Sustainability. More than 20 ASU students will be sorting the recyclables from the non-recyclable items in and around the entire stadium. Most of the sorting and cleanup will be done by hand and is expected to take several hours. “The students will get to peek into the locker room, almost, of a professional organization like the NFL and how it’s run from a sustainability perspective,” Tetreault said. The student volunteers, ranging from undergraduates to master’s students, will be treated to lunch at the stadium’s midfield as a thank you for their efforts. ASU’s commitment to sustainability has been a big part of its involvement in the events around the Super Bowl, and the university even has a booth at Super Bowl Central in downtown Phoenix to highlight its work on the issue. The booth is covered with solar panels, and visitors are able to play hands-on football games powered by the solar energy. The booth also contains screens playing videos about some of ASU’s accomplishments in the sciences, including the ASU Mars Rover, the creation of the jet pack that can help the military service members run a 4-minute mile, and how ASU collaborates with organizations like the Clinton Global Initiative to support and allow leaders and entrepreneurship. On the Tempe campus, ASU invited NFL Environmental Program Director Jack Groh to give a lecture Jan. 27 in the Memorial Union to talk about his work. When he started with the NFL in 1993, Groh said there had never been a can or bottle recycled in a professional sports stadium in the entire country, and no one in sports knew what recycling or waste management was. Today, Groh said, the Super Bowl is recognized as the greenest professional sports championship in the United States. For ASU student Regan O’Brien, who heard Groh’s talk, creating awareness of ASU’s sustainability efforts and helping to show people how to do the simple things like recycle is an important part of a big event coming to town. 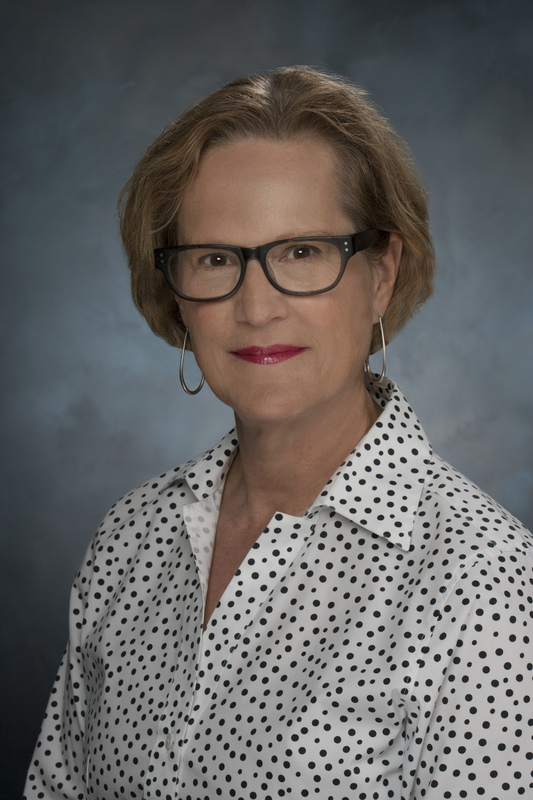 Elizabeth (Betsy) Cantwell has been appointed deputy vice president of Knowledge Enterprise Development at Arizona State University to help accelerate efforts to advance the university's research enterprise. Elizabeth (Betsy) Cantwell has been appointed deputy vice president in the Office of Knowledge Enterprise Development (OKED) at Arizona State University. With more than two decades of experience in leading large research projects and business development, Cantwell will help accelerate ongoing efforts to advance the university’s research enterprise. Prior to that she was director for Mission Development where she was responsible for overseeing strategic plans, innovative technology development approaches and large research project development aspects of the Engineering Directorate. Cantwell spearheaded many large and diverse research projects while at Lawrence Livermore National Laboratory, including the High Performance Computing Innovation Center, California Energy Systems in the 21st Century and the California Network for Manufacturing Innovation. At ASU, Cantwell will work closely with faculty, academic leaders, institute and initiative leaders and center directors to help strategize large project conceptualization, pursuit, acquisition and execution of strategic projects. She will also be responsible for developing and enhancing strong relationships with various funding agencies. As part of advancing the university’s research portfolio, Cantwell will also work closely with Entrepreneurship & Innovation activities at ASU, the ASU Foundation, corporate relationship initiatives, Arizona Technology Enterprises and the ASURE Applied Research Laboratory. Before joining the Lawrence Livermore National Laboratory, Cantwell served as deputy associate laboratory director of Global Security Directorate at the Oak Ridge National Laboratory in Oak Ridge, Tennessee. There, she led multi-sector business development efforts, finding holistic or “system” solutions, pursuing the grand challenges worthy of a national lab and optimizing the development of the next generation of science. Cantwell also spent three years at Los Alamos National Laboratory, where she served as director of the Office of Strategy, Threat Reduction Directorate and division leader in the International, Space & Response Division, among other roles. “Dr. Cantwell is someone who understands not only how to strategically create, manage and capture large-scale, externally funded projects and programs, but more importantly, how to enhance our impact as a comprehensive knowledge enterprise,” says Panchanathan. “I have spent the larger part of my career anticipating the future national security needs of the country and trying to ensure that we have the programs, technologies and policies that we will need when we get there,” says Cantwell. “It is a thrill for me to bring my accumulated experience to ASU, to help us focus on growing our research enterprise to support the goal of becoming a leading global center for interdisciplinary scholarship discovery and development."